At the beginning of this month, a new version of the Silhouette Studio software was released. There were a number of issues with the program as released and on April 16th an update was released. The changes and fixes are extensive and I haven't had a chance to try everything yet. I will post more tips on the new version once I have spent more time with it. You can download the updated version from the support page HERE and find the release notes detailing all of the changes for version 3.0.343 HERE. 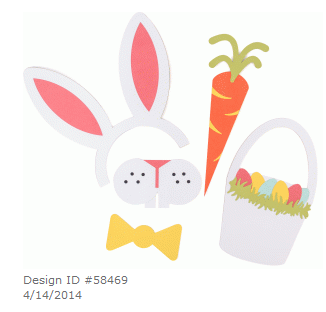 The free shape of the week from Silhouette is this set of Easter Photo Props. You will probably want to save an image of the set in a size large enough to see how all of the bits and pieces go together to make the various items. 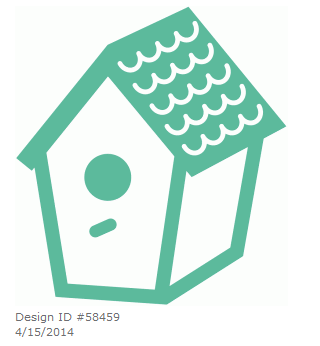 You will need to ungroup and regroup various shapes and also to add colors to get the proper look for your project. 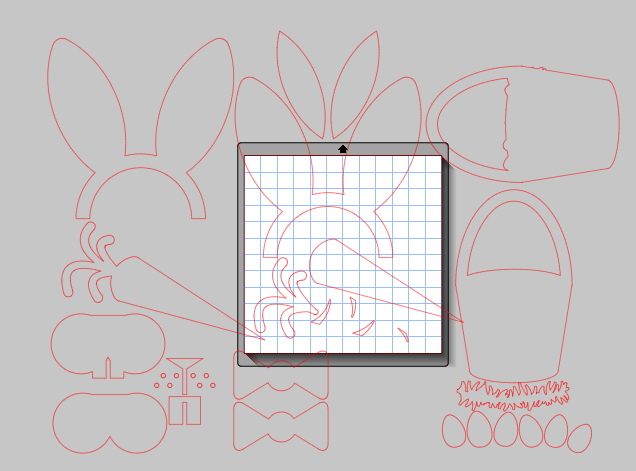 I have started to get spoiled by the fully assembled and colored images that you add to the Design Space work area when using the Cricut Explore - the plain red outlines in the Silhouette Studio look odd to me now. 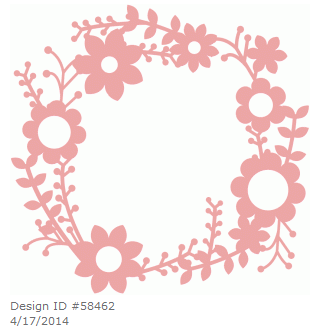 There are also some daily free shapes available from the Silhouette Store. I am not sure how long these will be free or how many will be added. It is a good idea to just keep checking the Online Store for freebies. You can find the links posted on the Silhouette Facebook pages HERE if you are a Facebook user. 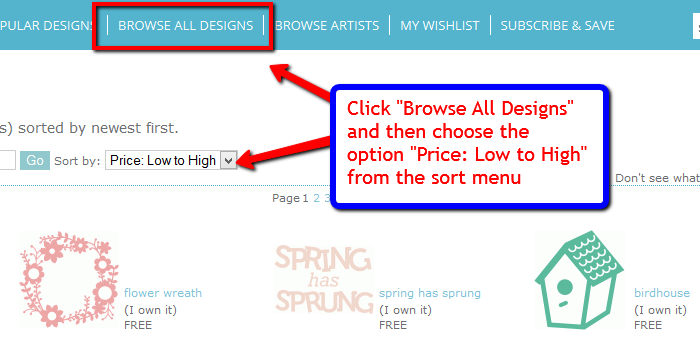 If you don't use Facebook, you can quickly find any free shapes by choosing "Browse All Designs" at the top of the page and then setting the Sort option "Price - Low to High" using the drop down menu. This is going to sound stupid, but how do you save an image of the set from the Silhouette store, and how do you make it larger? 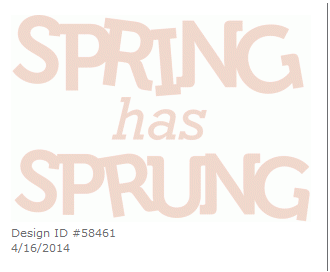 Thanks and Happy Easter. Hi Karen, I am not quite sure if I understand your question but let me try to explain the basics of using Silhouette images. .If I don't answer your questions, please just ask again with a little more detail about what you are trying to do. You can buy an image from the Silhouette store while you are using the Studio program or on their website. When you buy from the program itself the image is downloaded immediately and you can start using it. If you purchase from the Online Store on the Silhouette website you will need to download your purchased images the next time you are using the program. You can set the program to check for downloads every time it starts or click "check for Downloads" from the file menu after you open the program. You will need to log in to download the items purchased. Once the file is in your library you just double click the image to add it to your mat. If the file is one with multiple images (like the photo prop freebie this week) you will need to ungroup the file (right click and choose "ungroup"). Sometimes you need to ungroup several times to get to the individual images. To make an image larger you can click on it and then pull on the little white square in any of the four corners of the box outlining the image. If you use the white boxes in the middle of each side they will stretch the image in one direction only. You can also use "Scale"l to enter a specific size. Click on the "object" menu and choose "scale" to open the scale choices on the right side or click the scale icon in the top bar on the right to open the box and enter the exact size, then click "apply." I hope that helped - let me know if you have more questions.